We’re Ready to Make a Difference … and We Already Are! 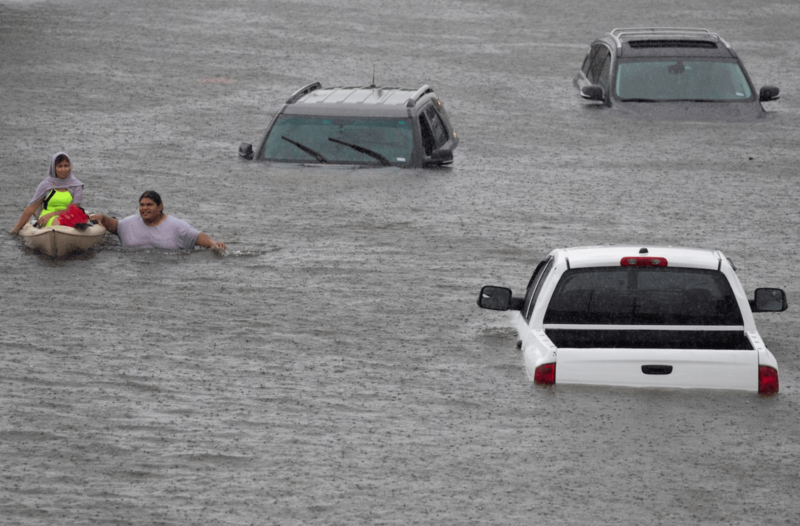 People all over the world have been praying for those in Texas who are still in the midst of intense and even cataclysmic flooding. When Iowans were recovering from the great flood of 2008, United Methodist volunteers from Texas came to clean out and rebuild our houses and businesses. Now we are ready to return the favor. Hurricane Harvey is still wreaking havoc in Texas, but laity and clergy in Iowa are already responding through the energy, resources, and networking of our United Methodist connection. Because of our experience in flood relief in 2009 and just last fall, we are continuing to develop an organizational maturity in Iowa that is quickly responsive, a very powerful presence, and multi-faceted. We have two thousand Cleaning Kits (aka: flood buckets) in storage that have been collected since last fall’s flood in northeast Iowa. We will send them all as soon as the United Methodist Committee on Relief (UMCOR) has their shipping plan ready. The Iowa Conference has a brand new twenty-foot Laundry Trailer that is being finished as I write. It contains two washers and driers and a sink and will be ready to head south as soon as Texas is ready. We also have a Shower Trailer that has been on loan to Arkansas where flood recovery has been going on. As soon as Texas is ready, the shower trailer will head there. The money for both trailers has come from special gifts and conference apportionment dollars. Catie Newman is our Iowa Conference Disaster Response Coordinator. We usually hear from her when there are tornado warnings, but she coordinates floods and other disasters as well. The Disaster Response Coordinators from across the United Methodist connection keep in constant touch with each other for encouragement, prayer support, and relief coordination. Emergency Response Training is necessary for anyone who wants to enter an emergency disaster zone. One of our clergy, Rev. Paul Evans, is a certified trainer and is qualified to lead teams in the early response phase. Iowa will have a training on September 8 and 9 for all those who wish to be trained so that they may help in the disaster zone. A United Methodist Volunteers in Mission training will be held at the same time. Click here to learn more about upcoming ERT and VIM trainings. We will offer a new Spiritual Care Training in October for those who feel led to be trained on how to be a spiritual presence to those in the midst of disaster. One of our conference staff lost her home to a flood and reminds us that recovering from a natural disaster involves much more than simply rebuilding a home. It’s because of our denomination-wide giving to The United Methodist Committee on Relief that UMCOR is able to be one of the first responders at most major disasters around the world. Have you made a difference yet by making your donation to UMCOR? 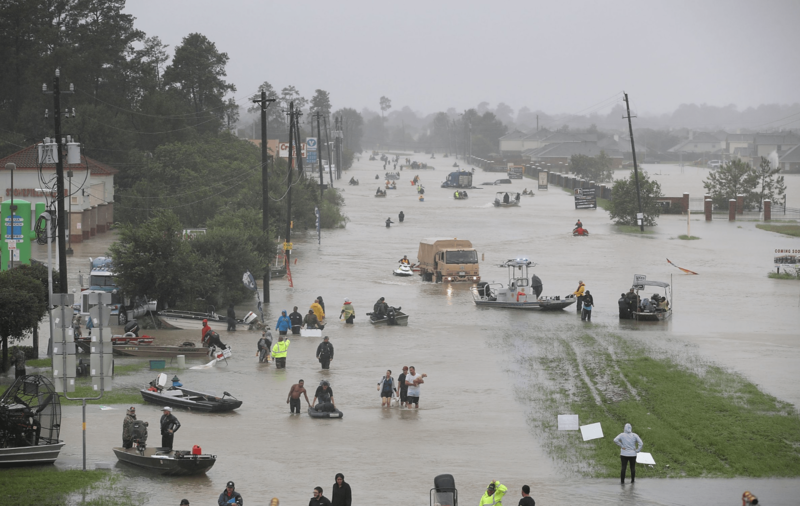 Because of the miracle of our connectional church, every dollar that you give will go to flood relief in Texas. You can give by clicking here. Our conference United Methodist Communicators, Bishops, Directors of Connectional Ministry, and Disaster Relief Coordinators are diligent in connecting people and resources, networking, and sharing information across the Connection. We’re ready to make a difference … and we already are through the prayers, presence, gifts, service, and witness of people of faith throughout the United Methodist connection. Rev. Art McClanahan, Director of Communications in The Iowa Conference, was so moved by the incredible display of generosity, caring, and courage in the midst of the flooding, that he created a slideshow set to the music Pie Jesu. (Click here to download the self-playing PowerPoint. Images were selected from what was available on the internet thru a Google search on the evening of August 28, 2017. “Pie Jesu,” sung by Sarah Brightman and Paul Miles-Kingston from the album. The Andrew Lloyd Webber Collection, 1989, selection 15, © 1997 The Really Useful Group, Ltd.) We pray that your hearts will be warmed by these pictures so that you, too, will be inspired to make a difference, however God leads you. Viewing Rev. Art McClanahan’s beautiful slideshow brought some waterworks of my own – thank you – so heartwrenching knowing the misery continues. “Pie Jesu”(Merciful Jesus) – hauntingly beautiful and so perfect for the images. The prayer at the end – still a lump in my throat. I wish the powerpoint was still available. I had hoped to show it in worship this Sunday! Kolleen, Thank you for letting us know the link was broken! We have it fixed now.